I'm on a Mac, and when I downloaded they private key it opened the text in my browser. How should I save the key? You do not have to 'open' the key to use it on encrypted form data. You just need to upload it. 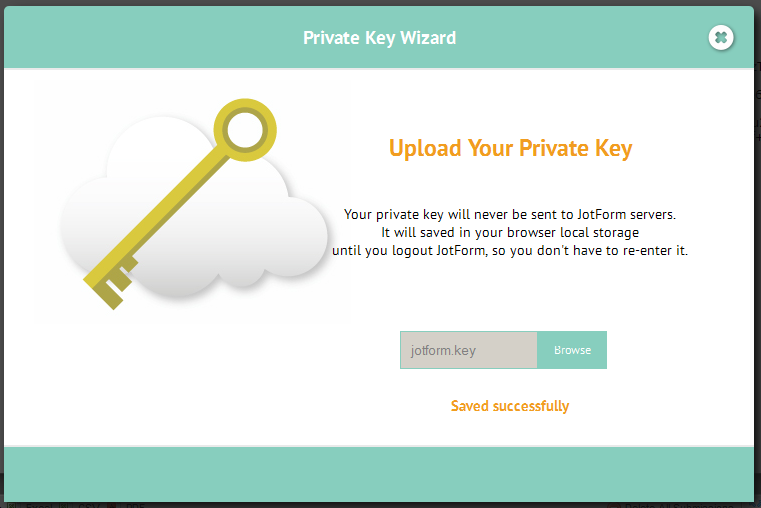 You can upload it using the upload file option in the remove form encryption wizard. Is there supposed to be an upload button? 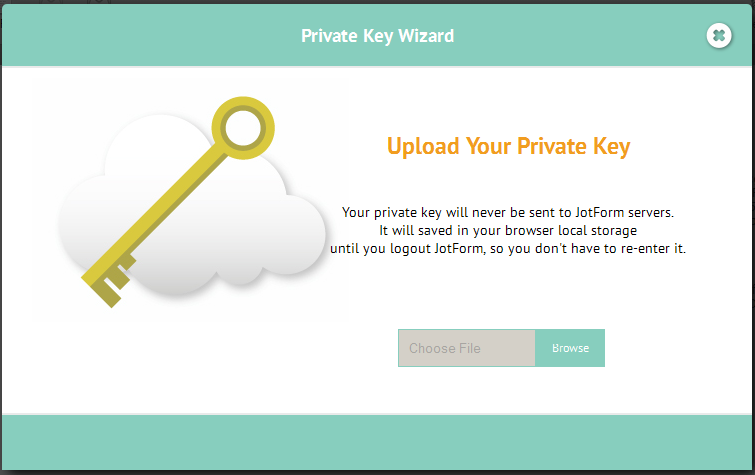 I'm sharing my key with another user that has permissions to view submissions. We get the key wizard dialog box and browse for the file but there is not an upload or submit button. We never see the "Saved successfully" message. Or get to the second screen for that matter.